Do you have both iOS and Android mobile apps? Yes sure, please check our demos and the Pricing page where all products are listed. Is it a dedicated mobile app? Yes. Some sites offer general apps where you need to enter the site's address. We think that such app has no sense at all. Our apps are made individually for each client, have the website's logo, title, contents. Usually to develop such apps from scratch you need to spend thousands. We offer this very same service for free or nearly free of charge. Just because we love our clients and think they deserve the best! Have you seen anything like this on any professional dating or social networking website? 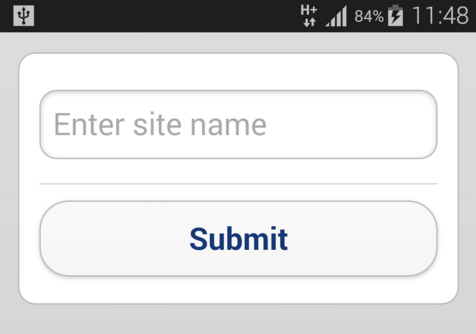 Do you imaging an app asking you to enter "facebook.com" into a field to be able to use the Facebook app? Neither do we. EACH of our apps is hand made by us and provided to each of the clients with his logo, name, etc. No one will ever have to enter the website's address. The users just download your app, with your name and logo, and log in. As it is done in all the other social and dating apps like Facebook, POF, etc. 2. We install it on your domain name within 24 hours. 3. You start customizing your website, putting your logo, texts, images, colors, etc. 4. That is it! Now you have your own website and now can use it the way you want. Will you be adding more templates to Chameleon? Yes sure. Currently we are working on 8 new templates and mobile apps. Some of them are a bit more for dating and some are social ones. Why everyone says Chameleon.Urban is your best template? Chameleon.Urban is meant to create very profitable (up to 6000% more income) dating websites. Chameleon.Urban has many ways of charging the members: Gifts, Credits, Super Powers, Spotlight, Popularity, etc. This allows businesses to have a lot more income, because usually the charges are very small but frequent, so the user "does not notice" that payments are made. This is a lot better than the old obsolete model of plain monthly charges when the user "notices" the big payments very well and may wish to stop them at any moment. Can Chameleon Software be used with WordPress? No and it will never have this option. No professional dating or social networking site in the world is run is something like WordPress. Chameleon itself is now 1000 times more complex and feature rich than WordPress and is a professional standalone system. 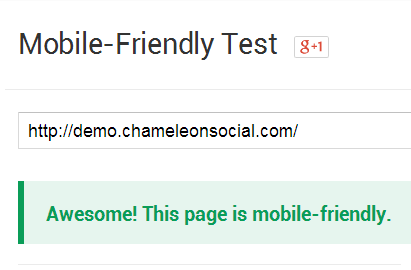 It is something really strange to want to connect Chameleon to WordPress. It is like wanting to run a Ferrari on a Fiat engine. Do you really think Facebook, Badoo, POF, Match.com are run on WordPress? The answer is obvious. If one wants to earn millions he will never use a simple free engine like this. It is for teenagers who want to have a blog online. And yes, it is a blog engine. Not social. Stay away from everything amateur if you want to be a professional. I am a developer, do you have an unlimited domain license? Yes sure, please go to the pricing page and choose the number of domains you want the software for, for example 2, 3, or 10 websites. The more you buy, the bigger the discount. You can also choose "Unlimited websites" if you are a developer and would like to develop very many websites using Chameleon Software. 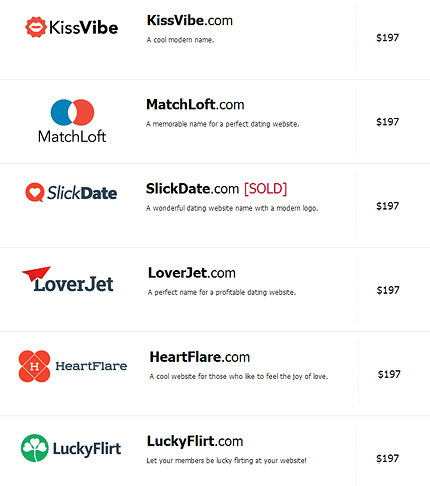 Yes, you can see our premium dating and social networking domain names on the Pricing page here. Do I have to use your domain name? No, usually a domain name is bought at godaddy.com. But if you do not want to spend several days thinking of a possible name, if you like a particular name we offer and find the logo attractive, of course you can use one of our domain names, although they are somewhat more expensive. Why are your domain names so cheap? Yes, they are extremely cheap. One can see social and dating domain names here or here for example for $2000-$3000 at least. We sell ALL of our domain names for $197, and they all come with a cool logo. Why? Because it is not our main business. We make software, we are programmers and designers. And if we can help our clients to find a good name for their sites we will do it. Moreover, we do not earn anything selling the domain names, all the money goes right to the logo designers. Cool? Cool. What is the difference between dating, social, and social dating modes? These modes are just an example of what unlimited capabilities you get when you have Chameleon Software. The difference is the features that are activated, so for the social mode we activated the Timeline, for the dating mode we activated the Home page, and for the social dating we activated the both things. This division is rather optional, you invent your own website every time you activate and disactivate features. How do I test the Video Chat or the Audio Chat? It is free. We only charge a small fee for the setup. It is based in the cloud so we pay very little for it and this additional service makes the whole package we offer look more complete. You can use it as long as you want and you can have as many members on your website as you wish. There are no limitations. But usually when the websites grow and have a lot of members, the owners prefer to move the website to a faster and bigger server. A free hosting already seems too slow for them. But to notice that your website is slow you need to have a lot members, maybe 100,000 or more. So our free cloud hosting is a very good start, you install the website, you play with it, you get your first members. And then you move to a bigger server. Do you have a demo of your free hosting? Yes, all our demos are hosted in our hosting as well. And this very website also. So if you like how our demos operate, you probably can use our free hosting. Of course your website will have more users and more websites will be hosted on the same server, but we always monitor the load and try not to allow a hosting to be slow. In any case, when your website grows, you can migrate to a dedicated server. What do I get with your free hosting? You get unlimited space for your Chameleon based website, one email address (like info@yourwebsite.com), an FTP account to transfer files to and from the server, one MySQL database to store your members. Can SSL be installed on your free hosting? Yes, it is absolutely possible. In this case your website will have a nice green shield in front of your domain name, just like on this very website. It makes the site look more secure to the user. How do I start using your free hosting? All you need to do is to buy a domain name. It must belong to you so only you can buy it, you can purchase a domain name here. After that we will send you the nameservers to which you will need to point your new domain name, that is, you will need to point it to our hosting. It is described here in detail. To change your hosting to another one you will need to point your domain's nameservers to another hosting the same way. Chameleon Script is the engine of the website, it is the brain of the system. It does not have any templates so you need to have a template to be able to see it. You can connect to it any template you see on our website. Also you can make your own template and make changes to the ready made ones. You can think of the script as an enormous bunch of different libraries, methods, objects, etc., and templates use these libraries to operate, but always use them partially, because the script has a lot more than any of the templates needs. A template is the “skin” of the website which you can see on your computer screen. But it can only be seen if you have Chameleon Script installed. You can have any number of templates and switch between them freely. Our templates not only have different designs but also different sets of features. With all these features, why such a low price?! Our prices are calculated according to our expences and financial needs. Yes, there are companies who charge $10,000 for a social network and there are companies who charge $50,000 for a social network, well, suppose their expenses are higher than ours. Also, if we charge little, more people can use Chameleon on their websites and give us their feedback, which helps us to correct certain things and make the best software in the world. Why should I buy Chameleon? I would prefer to create a solution from scratch! Of course you can create a solution from scratch and hire someone to do it, but you should take into consideration the following: Chameleon has been developed since 2001, has now about 40,000 files and millions of lines of code, about 40 programmers and designers work on it every day and update it with new features. So if you are ready to spend a lot of money and a lot of time of course you can make a custom solution. If not, Chameleon is here for you for almost no money at all. And it is so customizable that you can literally create a custom solution using Chameleon alone. Also if you want to create something very special you can hire us or any other programmer who will develop your website using Chameleon Software as a good start. Yes, technical support is free for lifetime. You do not need to pay for the support because this way we have a strong motivation to make a really bug-free script. It is provided in the ticket area. Websplosion LTD. is a family run company, our main offices are in Los Angeles, California and London, UK, and some of our designers and programmers work remotely from Argentina, Slovenia, Bulgaria, and several other countries. That is why we manage to keep a competitive price range while having an unmatched set of features. Also this way we can use the best designers, best programmers, best software architects of the world! You probably ask yourself WHY such a low price with such a high quality? This is why. We use the best of the best, and manage to cut the expenses. Also a lot of our technical support is not in LA. You do not like hearing some accent over the phone? Well you need to go with some other company in this case. We are a truly international company and we love it. How is Chameleon Software better than ...? - All modules are included. You do not have to buy anything else, ever. It is not the case with most other companies, they even have plugin stores. - The Android and iOS apps are also included for free. Usually the developers sell them separately. - Our hosting is free for lifetime. Most companies charge a monthly fee. - You can use your own branding without having to pay for this. - Our support Chameleon.Care is free for lifetime. No monthly plans. - Our price is really competetive, taking into consideration all you get with the purchase. Impossible to find a better value. - This year is called the year of the virtual reality and our 3DCity module is something that no other software developer company has. Is it an unbranded software? Yes. It has no mention that it is Chameleon anywhere on the website. It belongs to you only, so you put your logo, texts, etc. Can I modify Chameleon Software? Is it open source? Yes certainly, you can modify everything you like. It is 100% open source and only the license files are protected. Also the apps, 3DCity, and video/audio chats are not open source. We have now: Chinese, English, Dutch, French, German, Italian, Lithuanian, Spanish, Turkish, Russian and Portuguese. In any case the translation takes not more than 3 hours and is made in admin CP. Also you can correct any errors if you find any. You can set it so that the user will have to choose the language on the home page of the site. Can I request new features for the next versions? Of course. Not only you can, we also kindly ask you to do so here on our forum. Our goal is to make the best, the richest in features software, so without your help we will never be able to do it. All requests are processed, evaluated and put on the schedule. As you know all features in Chameleon can be switched on and off, so even if a feature is not needed by everyone, it can be found helpful by a part of our customers, and they will be able to switch it on. I do not know anything about programming. Can I use Chameleon? It is rather natural that you do not know anything about programming because if you did you could create your own social networking software from scratch :-) In any case, we are here to make the process as easy as possible. Our admin control panel allows you to modify a lot of parameters of your website, switch features off and on, and if you want some custom changes you can always order them from us. We do not charge much and have a lot of experience with our software (naturally). Those of our clients who know how to program can make changes to the script themselves as it is open source. If I purchase a license, do I own the site? You own the site, you can sell it for example. There are no monthly fees ever. Yes sure, you can switch all the features on and off. How can I earn money running a dating website? You can earn on memberships and on banner ads like Google Adsense. Can I earn money running a small niche dating website? Yes sure. Although not quite a niche site anymore, but it started out that way because it was the first free general dating site there’s PlentyOfFish.com (POF). Back in 2008, articles came out about the soul owner of POF making $10,000 a month running Google ads on his site. Markus (the owner and creator) had so much traffic that he had to move his database to its own computer to handle the traffic. These days POF is making upwards of $1 million a month. Just find your focus, choose a great domain name and go for it! You do not lose much, Chameleon does not cost even a fraction of what would developing from scratch cost, so just start your website and start to earn money! Does Chameleon Software load the server a lot? Our vast experience with dating websites (Chameleon was initiated as a dating script in 2001) has allowed us to create the fastest engine possible, because dating websites always tend to have a lot of visitors so we needed to optimize all the database commands so that your server would never experience any overload. We made hundreds of tests to tweak all the bottlenecks. We chose PHP as the language to write Chameleon because it is the fastest programming language available. That is why Facebook which currently has several billions of users is written in PHP. How can a good script be a dating one and a social networking one at the same time? First of all, a dating website is a social networking website but with a very limited functionality, which is there to solve some very direct and clear problems: communication, exchange of winks, etc. Also, the fact that our script was started as a dating script back in the 2001, helped us to make it really fast and durable, because in those years dating websites were extremely popular so the script had to be very optimized to be able to cope with all those visitors. So there is nothing strange or bad that some of our templates build dating websites and some build social networking websites. It is all the same thing, just the set of features is different. Can any mobile template be used with any desktop template? Yes, you can use any mobile template with any desktop one, it is the same MySQL database and the same media files always, for example the White Mobile template with Oryx template, etc. But you always need to see if they both have the set of features you are looking for and also if the mobile template has the same name as the desktop one then this mobile template is probably the best choice for you. Yes. Just try posting on the timeline, and all the animation you see there is exactly HTML5 in action. Yes we install the software for free if you want us to. Also you can install it yourself, it is very easy. How often do you update Chameleon Software? We are developing, debugging, and adding new features and templates all the time. Every day several new features are added. So we could publish a new version every day but we do it once in a month or two, not to do this too often and to have more new features in the release. Also we take a couple of weeks before a release to clean bugs and problems, not adding any new stuff. Currently 8 totally new templates are being developed, and the current ones cleaned and improved. Do I have to pay for 3DCity separately? Right now we have a promotion to celebrate the version 2.0 of the 3DCity software so it comes with the package for free. 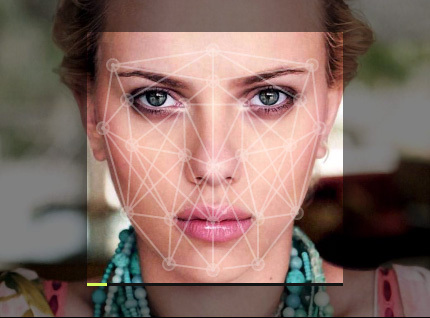 Can users upload and use their own faces in 3DCity? Yes. 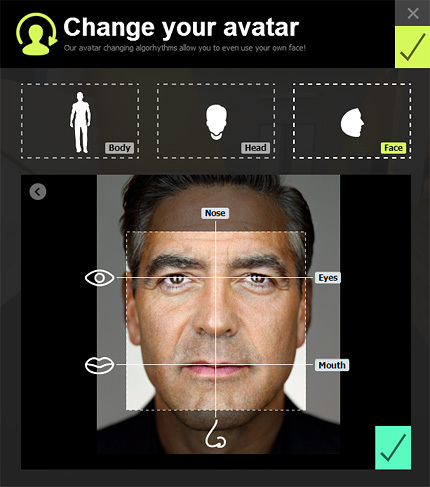 Our wonderful FaceTo3D® technology allows to upload your own face and attach it to the avatar. 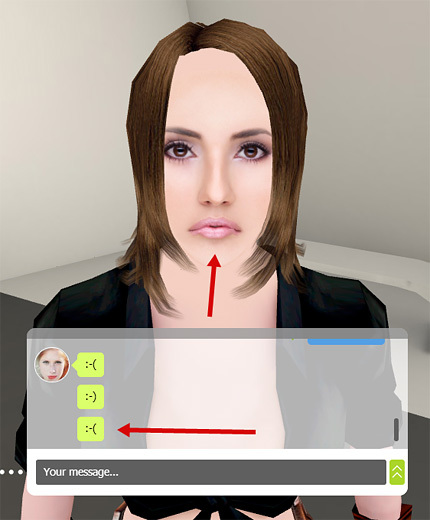 Imagine talking with your friends in a real 3D environment, all your friends having their own faces? You can even become a famous actor! But does the face really become 3-dimensional? Of course it does! That is why it is called FaceTo3D®. Wonderful? You bet! Does 3DCity use any plugins like Flash or Unity? How does one start a dialogue in 3DCity? When you come up to someone and put your cursor on him you will see the basic information about this user. If you make a click the chat will open. How can I see someone's info in 3DCity? When the dialogue is in progress you can just out your mouse cursor over the photo and a popup appears with all the basic info about the user. How do I stop a conversation in 3DCity? Press and hold a photo for 1-2 seconds and when a cross appears through it to the left. Does 3DCity require a fast internet connection? No. All files, textures, animations, etc. are very light and have been prepared and tested on very slow internet connections. Actually we only use very old 3G modems at our offices to be able to see our software in real not-so-perfect world, where internet is not always super fast. So even users in remote African villages will be able to use 3DCity. This is our top priority. Do your mobile apps have push notifications? Yes sure. This is actually one of the main reasons you need a mobile app. You need to get your members back to the site. And the best way to do it is to have a push notification when they receive a new message, for example. Then they open the app and begin interacting. And pay you for the memberships and credits. Do your mobile apps have Google AdMob? Yes. Both iOS and Android apps have AdMob. Is the Video Chat Flash based? No. It is WebRTC based and does not require any plugins. It is peer-to-peer basically, that is, the connection established between the users directly. What does the quality of the Video Chat connection depend on? Only on the internet connections of the user A and the user B, who are using the Video Chat. The connection is established between them directly. For example, your hosting has no importance in this process and does not influence the quality of the connection. Moreover, if your site goes down and two users are speaking at this moment, they will be able to continue speaking without even knowing the site is not online! Do I need anything special on my server for the Video Chat to run? No. It does not require anything at all, no Flash Media Server, no Red5, nothing. The only thing it requires is an SSL certificate installed on your server or hosting. It is needed because this way the video chat stream is more secure and can not be seen by anyone else except those who participate in the chat. SSL certificates can be bought at very cheap prices now, starting from 9 USD, for example here. Or you can get one at GoDaddy, if you host with them. Does the Video Chat run on mobile? Yes, starting from Chameleon 4.1. How can I test the Mobile Video Chat? You need to use 2 different devices and 2 different accounts on the demo. For example, you can use one account on your PC, and the other on your phone, and make a video chat call. Does 3DCity run on mobile? Does 3DCity have push notifications on mobile? Street Chat is the new revolution in social interaction, with Street Chat it’s possible to travel the world with your friends, right from the comfort of your virtual safe space. Read more here. Where can I see the version history? Yes of course. Our mobile apps have Tinder functionality. Your clients will be able to sweep left and right! Can you show some logos you designed for $47? Yes, here are some. It takes us 2-3 days to make a logo. Can I use your mobile apps without Chameleon itself? No, because the "brain" is in the Chameleon Software. The app itself needs a server to take data from, for example the photos of the users. Without a Chameleon website your app can not connect to anything and has no data to display. Any normal shared hosting with PHP and MySQL like GoDaddy is ok for the start. You can also use our free hosting. Chameleon requires at least 1000Mb of web-space and 50Mb of MySQL DB space for installation. Your host must have a Linux/Unix (RedHat, Debian, FreeBSD, Mandrake, etc.) or Windows OS, Apache Web Server, PHP 5.3 and higher (Apache and CGI modules), MySQL 5 and higher, Cron Jobs. Apache mod_security should be disabled on the hosting. We recommend a VPS (virtual private server) if you plan to have a lot of users. But of course you can move to a VPS at any moment later. Some cheap VPS providers (we are not affiliated with them and not responsible for their service): hosthatch.com, ovh.com, bluevm.com, alternatively, you can find a cheap VPS in your country here: lowendbox.com. Also you can use our free hosting, please check the pricing page (we charge only for the server setup). Any other shared hosting which meets our requirements can be used as well and when you have more users you move to a VPS, which is a very simple operation. Do I need IonCube to be installed on my server? No. Chameleon does not require IonCube or Zend Encoder, it is absolutely open source. Currently everything tends to be more and more social. One of the most profitable dating websites, Badoo, has incorporated the Friends feature. There is just no way round, everything goes in this direction and like it or not, traditional dating is dead. People want to socialize while looking for a partner, they do not want to feel lonely on a dating website anymore. The want to update their statuses. They want to like posts. In any case how much "socialness" you give to your website is up to you. You decide which features to use and how. But some amount of "facebookness" is already a must. It is just what we are accustomed to. Why is Chameleon Software the best software? We have dedicated all our lives to making the best and the most interesting software on the market. Ours has a lot more features than any other social networking or dating script you can buy. Can I have more than one template? Of course. You can initially purchase only one template to test it on your website and then if you want to try something new you can always buy more templates on our website. Are the templates fully compatible with each other? Yes, you can change the template at any time without any problems, the users will just see that the design and functionality have changed but all the contents, texts, photos, contacts will remain intact. That is why our software is called Chameleon. It just changes skins whenever needed. Why creating a niche social network is the right thing to do? Smaller, more focused networks are becoming places where people actually listen. On the big social sites, a person’s network is often so big that there’s no real sense of community. When your feeds are drenched in a constant stream of mixed messages, it’s overwhelming. Because of the sheer number of posts, those that actually have any substance or meaning are lost in the undertow. Niche social networks, that were built for specific, narrowed-down purposes allow for focus, community, and meaning to be restored to the online world. With a powerful zap of what feels like magic, new niche sites are bringing intelligence back to the social network. Does your team make other software products? How can I customize my Chameleon Software based website? In the admin cp you can change literally every aspect of your website. We recommend starting our with disabling the pages and features that your website will not probably need. For example, for a dating website you may need only these pages and features: Home, Online, Search, Top, Vote, 3D City, Games, Personal Settings, Partner Settings, Couples, Bookmarks, Matching, Postcard, Wink, Favorites, Relationship Types, Love Calculator. On the contrary, for a social intranet website for your company probably you will not need things like Love Calculator or Couples (hopefully, but of course depends on your company's traditions) so the features you will use probably are: Timeline, Events, Calendar, Network, Groups, Chat, Forum, Gallery, Ads, Videos, Mail, Instant Messanger, etc. These are just examples, but as you see, for any website you can find its own unique set of features of Chameleon Software, be it a social network for dogs or a serious intranet portal of a software company or a university. Why do you develop software? We love to develop Chameleon. No, we LOVE to do it! Even without being paid for this we would continue to come up with new wonderful Chameleon templates. We just need to pay some bills so we have to sell Chameleon. If not, we would give it for free. We love Chameleon, we try our best to make it better and better every day, we use it in our company as a sole means of communication. Yes, we have our own intranet based on Chameleon and it is prohibited in our company to use emails or phones, only the website itself. This way we can test if it is convenient to use. There are companies that just make products to sell them. And there are companies that are in love with every minute of developing a product. You can certainly say this about Websplosion. Are there any hidden costs? Do I get all the features? It is a one-time payment, you get all the features listed. You will never have to pay anything else. Can the background be changed in Chameleon.Oryx? Of course, the backgrounds you see on the demo are just examples. It comes with about a hundred backgrounds and also you can upload your own one. Flexibility is the highest priority of Chameleon Software. One product, many usages. Are the features of social or dating websites also copyrighted? Functionality and features are not protected by copyright. Copyright is protection for a creative expression, not an idea. You can use the same idea as someone else and develop your own expression. This is why there are multiple forms of photo sharing sites, all with the same features, like filters or allowing comments on photos. And many dating websites, all offering exactly the same features. Or a very popular website www.twoo.com which is an exact copy of www.badoo.com. Can I use Chameleon.Oryx for an intranet? Of course, that is what we use now here at Websplosion. It has all the basic features an intranet should have, and does not cost $50,000 like other solutions, but just 1% of this sum. It is a good basic social intranet for any small to medium company, and when other more specialized templates are developed you will be able to upgrade to them without any problem. You just activate the new template in the admin cp and that is it, now you have a more specialized intranet. I love Chameleon Software! I do not know anything about scripts and hostings. How do I proceed? 1. Choose the products you need on our Buy page. You can buy only the script and one or two templates as a start, then add more at any moment if needed. For example, you can choose Chameleon.Script, Chameleon.Oryx, Chameleon.White.Mobile, and Chameleon.Hosting installation as a start (sometimes it is sold all together as a bundle). 2. Purchase the selected items. 3. Purchase a domain name here. Just click on Domains in the menu and use the form to find if your domain name of choice is not yet occupied and purchase it. 4. You are done, now we send you all the necessary information and you will register in our members area where you will get support, download the software package, get the free installation, etc. Do I pay for updates? All upgrades are free for 3 years, this includes all major and minor releases. For subsequent years, we charge 50% of the edition price once a year to continue downloading the latest releases, if you wish. Usage license however, will never expire. That is, support is free for lifetime. It basically means that you can just continue using your current version and not pay anything and still get the free support. 3 years of free upgrades allow you to develop your website into something really wonderful and profitable! Updates are available for live active sites only. Can I resell your software and get a %? Yes sure, just register here. You will get a 20% of each sale. Does your team make customizations on the software? Chameleon is very universal. Some templates allow you to create varios types of websites, for instance, a website for musicians or a website for video sharing. Also any template and the script itself can be modified and any website be created with Chameleon. Can I move the website to another domain? Yes, you need have a license for this new domain. It is recommended to buy 3 licenses at once to save a lot of money, you save 30% of the cost. On the demo page, what do the settings "Dating Site", "Social Network", etc. mean? Some templates are universal, so you can run not only a dating website, but also a website dedicated to events or videos. This changes the way the website looks, changes the main page, etc. Some templates are more direct, that is, can be used to create one type of website, but is very optimized for this very type. Are the demo profiles I see on the demo included? I bought a domain name at Godaddy (Hostgator, etc). Can I use your free hosting? Yes. You just need to point your domain's nameservers to our hosting. You can find how to do it here and here. If you have a different domain registrar (not Godaddy or Hostgator) the procedure is mainly the same. If you do not want to do it or do not know how to do it, just give us the access details and we point your nameservers to our hosting for free. 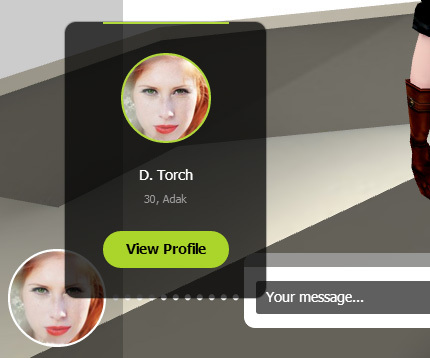 3DCity is a wonderful feature that allows your users to walk and talk in a real 3D environment. It is an eternal source of fun and joy. People will WANT to pay for this feature on your website! Or, if it is free website, they will come to your site again and again, without being asked to do so or tricked into it by a push notification of the mobile app. "I love this 3D stuff!!!" "It is fun and cool to be able to walk and talk this way!" (More comments here under the article). How can I test 3DCity? Please click Demo, choose a template, and then log in and click 3DCity in the menu. 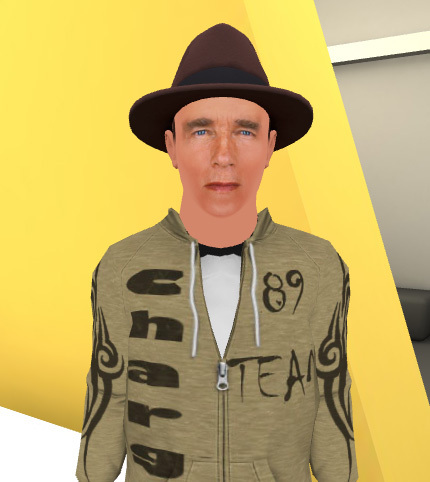 Can users change clothes, hair, and faces in 3DCity? Yes. 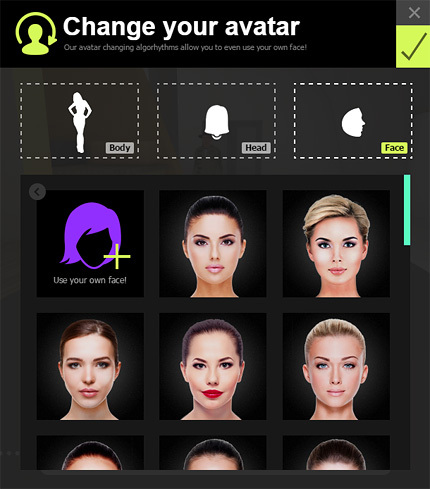 Users can choose clothes (body), hair (hat), and a face. 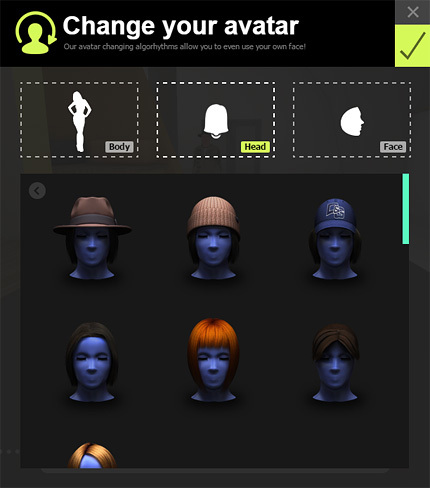 Do the avatars have emotions in 3DCity? Yes. Whenever you send an emoticon, for example :-) or :-( your avatar changes his/her face to express this emotion. That is why in order to achieve the best result it is recommended to upload a frontal photo of your face without any emotions, with a neutral expression. 3DCity will add emotions to it! I love 3DCity! Can I use it in my WordPress site? Currently 3DCity is only available in Chameleon Software. We do not discard making a standalone version someday though. Will you be adding more stuff to 3DCity? Yes sure. 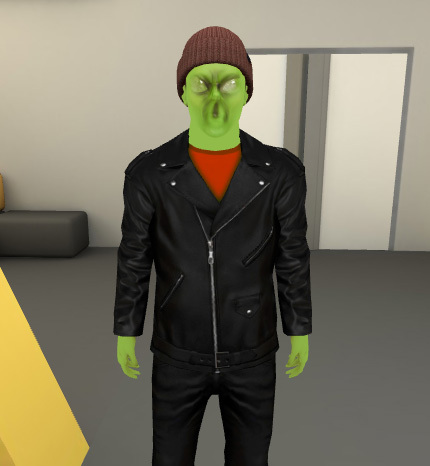 We are now working on new clothes, heads, faces, locations, webcam transmission, etc. We are also constantly working on the animations of the body and the face in order to make them better and better. We always try to release a new version of Chameleon Software every 14 days. Does 3DCity use a lot of processor resources? No. It is super lightweight and uses only a fraction of your processor and memory (5%-7% in our tests but of course depends on your exact configuration). It can even run on the cheapest mobile phones! How much time did it take to make 3DCity? Will users have to download 3DCity? No. There is nothing to download, it just opens as an ordinary page and you start interacting with the virtual world at once. Services like Imvu and SecondLife make you download huge files and people really hate this. A proof: https://db.tt/em4NLkNm. "On meez you have to download java!! !My mom wont let me!!!!!!!! Any ideas?" 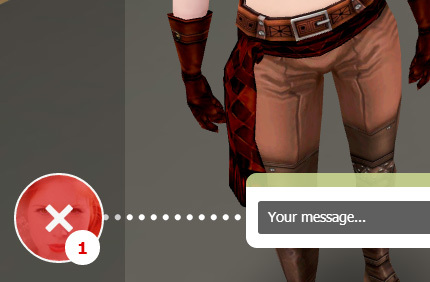 "imv messes up ur computer and your 10000 computer is broke because of that thing"
"i wanna play imvu with no download !!!!" "where can i play imvu with NO DOWNLOAD"
"People dont download imvu cause you can ge your account hacked and you will have lots of viruses on your computer"
"I would like to play ActiveWorlds with no download please :)"
"I have to download Second life, i aint downloading it! 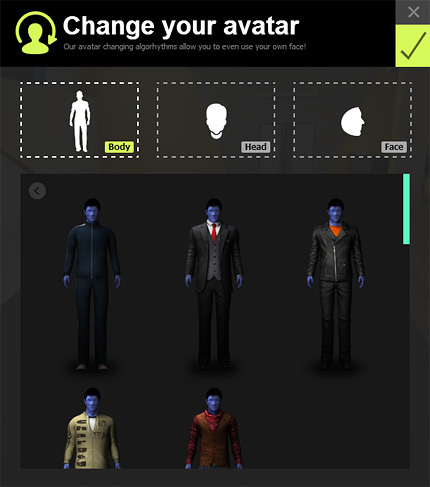 waist of space"
So a virtual avatar world without downloading is what people have been really waiting for. For ages. So give them what they want! It is only a click away. And yes, it is cheap, really cheap today. To solve real life problems. If one wants to create a social network for her university and does not know how to do it. If one wants to start a dating website and does not want to spend a year and a lot of money on development. If one wants to create an intranet for his small company and does not have a big budget for this. We enjoy what we do and like what we make. We use our own Chameleon Software as our company's intranet. We use it 24 hours a day and find a lot of imperfections daily which we rapidly correct. It is not about money. No, really, we do not care about money while it is enough to be able to continue developing the most wonderful social software in the world: Chameleon. Does 3DCity "talk" with any server except mine? No. All image and 3D processing happens either directly on the user's computer, or on your own hosting. 3DCity never requires any other server. 3D processing is usually very demanding but our algorhythms are very optimized, they are made exactly to be run on a shared hosting like Godaddy or on a chep mobile phone. This was the idea from the very beginning. How does one move in 3DCity? 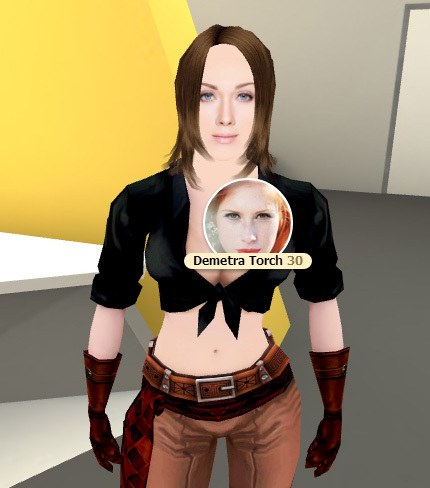 You turn your avatar with the mouse, walk either with arrow buttons, or with WASD keys (as in all computer games), or with the mouse wheel. On a mobile phone you turn and walk swiping the screen. How does one move to another location in 3DCity? You come up to a door and an alert appears. You can choose to change your location or close the alert. The other way is to click the menu icon below and choose Rooms. Can I use 3DCity in full screen? Yes sure. You can either use a link above the 3DCity window or the full screen icon below. Is a template only a new design? We strongly believe that design is not how a thing looks but what it does and how it feels doing this. That is why all our templates are so different and achieve different goals, although connected to the very same database and the Chameleon Script. Our goal is to make the best membership software which could be universal and powerful at the same time. That is why we separated Chameleon Script from the templates which are not only design templates but totally different concepts for creating very different websites, from social networking to dating and even intranet portals. One software for all online presence goals! That is why we called it Chameleon. It is the same powerful engine and different templates which change the user's experience and the type of the website completely. It can be Chameleon.Dating, Chameleon.Social, Chameleon.Intranet and what not. If I have in idea about new features, how do I send it to you? Please use this special Chameleon Dating Software wishes and reviews forum. We try to listen to all of our clients and implement about 3/4 of all the ideas! Do you do custom work and modifications? Yes sure. 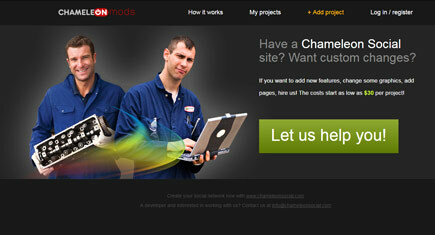 We have a special website for this: Chameleon.Mods. Most of our clients usually do not like to work with sites like Upwork or Freelancer because of the low quality of the programmers. At Chameleon.Mods all of the programmers know Chameleon and know it well, so you will never have an unfinished project there. If I find a bug, where do I submit it? 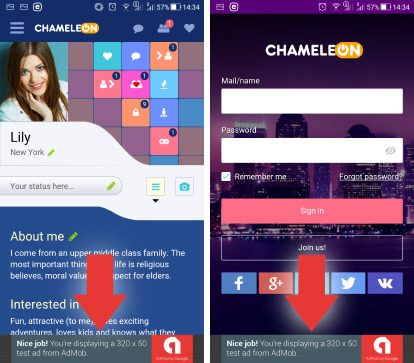 You can submit it either to the Chameleon Dating Software support center or to a special Chameleon Dating Software bugs forum. I want to review Chameleon, where do I do it? You can submit it to the Chameleon Dating Software reviews site. How do I follow you and get news? Please like our official Chameleon Dating Software Facebook page. If I want to order new features where do I do it? Our clients hire Chameleon Dating Software developers at Freelancer.com. 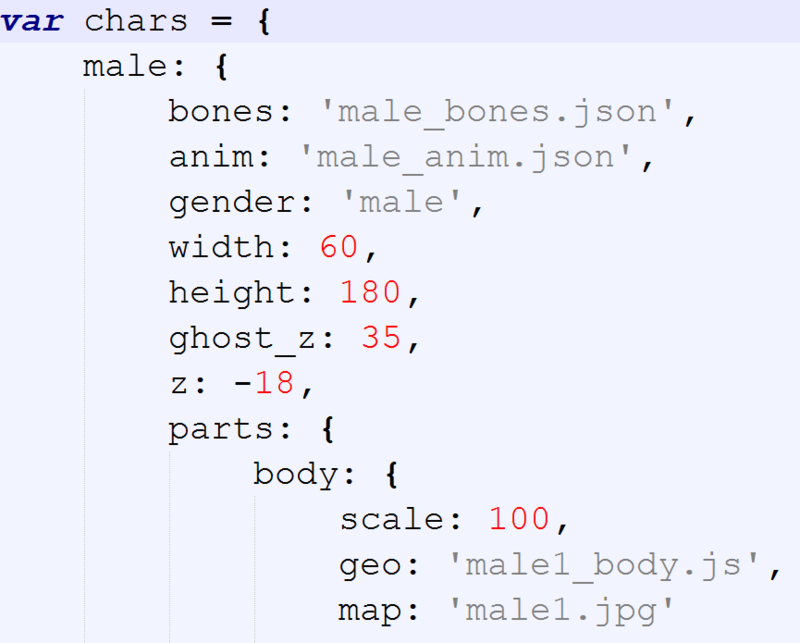 The script is open source so you can change features and add new ones very easily. Where can I see what your company is doing right now? You can see our new products and templates at Chameleon Dating Software news website. Is there a page with video tutorials? 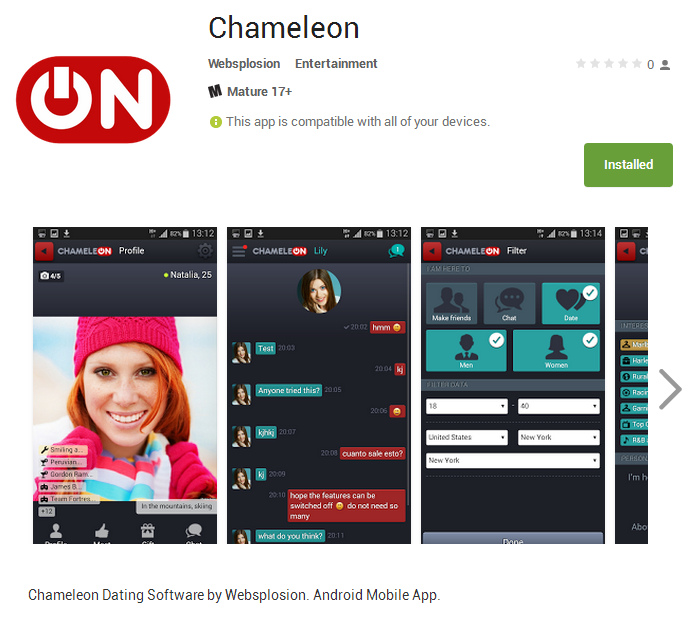 You please use Chameleon Dating Software reviews and tutorials website.